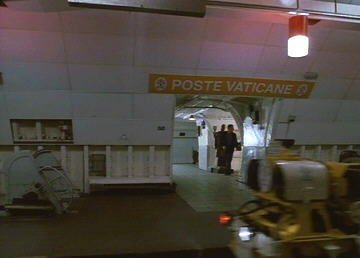 In the otherwise pointless heist "comedy," while casing the Vatican (! 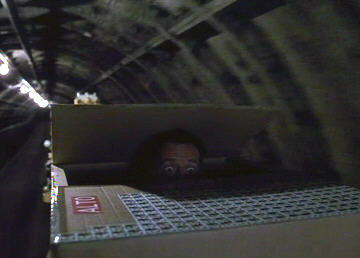 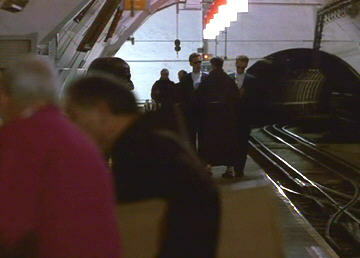 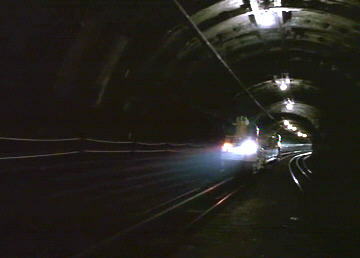 ), the cat burglar of the title (Bruce Willis) is shown a, "postal subway" (!!) 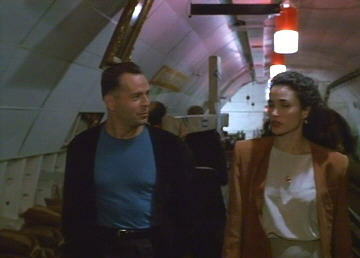 by Papal historian, Andie MacDowell (!!!). 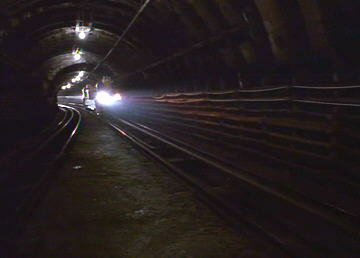 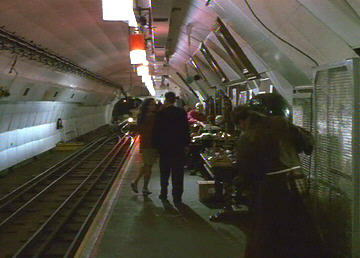 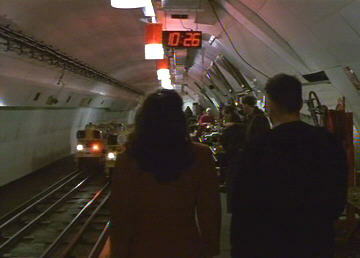 In actual fact, the location is the London system formerly operated by the Royal Mail, although in use at the time. 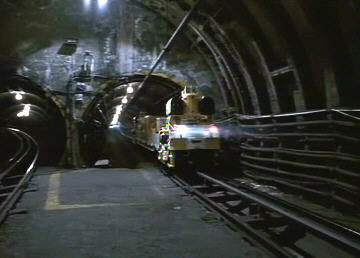 More details of this unusual self-contained Tube railway can be seen at Colin Karslake's excellent Unofficial Mail Rail site.